Listening Skills are a must-have for any communication to be effective. When there is something to say, without listening to others and without understanding what they’ve said we go on speaking. First we should try to hear what is being said to us peacefully. Due to listening less and speaking more we only know things what we knew already. Because of not listening and understanding any information from others, we are not able to know many things. So, first listen, understand and then act accordingly. In some circumstances, before others say about anything, we start speaking and owing to this actual what is to be known can’t be known. Suppose when we calmly listen to others, the mind will get freshness. We will be able to understand any topic provided we hear with attention to others sayings. In case we pretend as if we are listening to them or otherwise with diverted mind, the things will not reach the mind. More importantly, students in the classrooms should hear the teachings and lectures more peacefully with concentration and try to understand with full attention. For this one should have listening skills. That is to say we should keep our mind peaceful and hear and understand patiently. To select for jobs in corporate companies, they conduct a special interview. In this four members will ask many questions. To answer the question in order, definitely every question is to be understood listening properly. With the view that these days many young people are loosing the listening skills, these types of interviews are being conducted. In some of the universities, special classes are being conducted on listening skills. For not able to hear interestingly, pressure, urge and concentration on other things are the reasons. 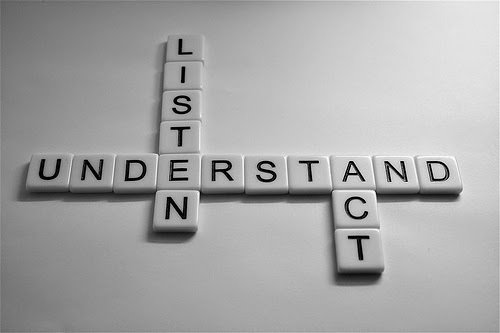 To move ahead in career listening skills is very important. Interest towards knowing the new things and listening power are very much essential. To understand the sayings of others, hearing interestingly is the only way. We should give preference not only to person to person communication but also to hear. Everyone must increase the ability of listening skills to know new things. For this always one should try to keep their mind peacefully.